Wall mounted play panel Four in a Row. 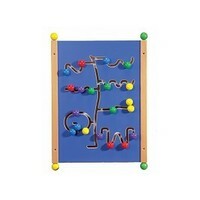 Educational wall mounted play equipment for kids corners. 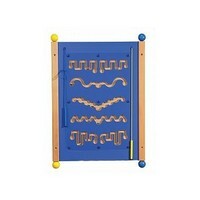 Children's wall mounted play panels are suitable for any play corner. 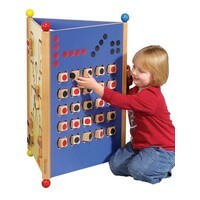 This wall mounted play panel will keep children of every age entertained for many hours on end. 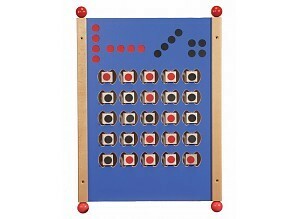 This game is simple yet very amusing: the first person who makes a row of four of their colour pieces wins the game. But both of the kids will be trying to stop the other by doing exactly the same! 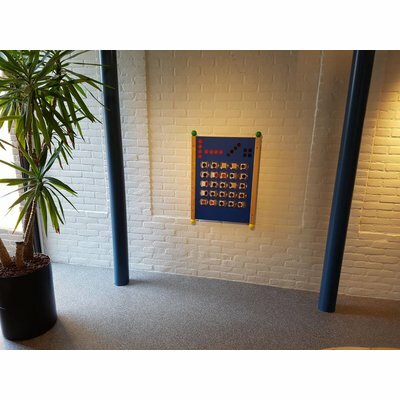 This wall mounted play panel does not include loose parts so the kids corner will always remain clean, tidy and complete. 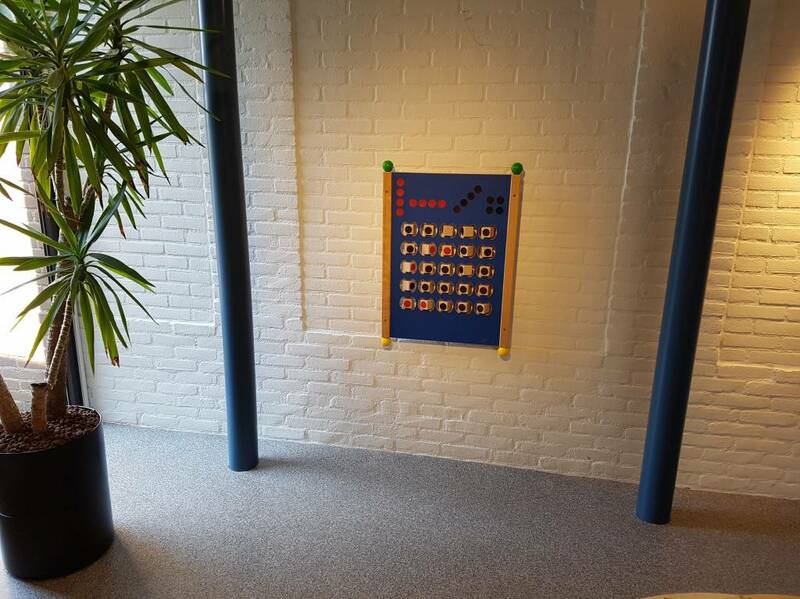 corners. The wall mounted play panel is supplied with a fastening kit which allows very easy fixing.